This article has been guest written for Digital Horizons by Brogan Mooney, Digital Marketing Manager for Jimmy’s Iced Coffee. It is no secret that our digital world is evolving so rapidly that we practically blink and there’s a new smartphone, a car that doesn’t require a key, or an app to help make life much easier. The possibilities for digital, tech and creative careers for young people are now bigger than ever, and it’s about time we start talking about them all. I’m Brogan. I’m the Digital Marketing Manager for Jimmy’s Iced Coffee. Myself and Jim Cregan, co-founder of Jimmy’s, visited Bournemouth and Poole College last Monday with Digital Horizons. 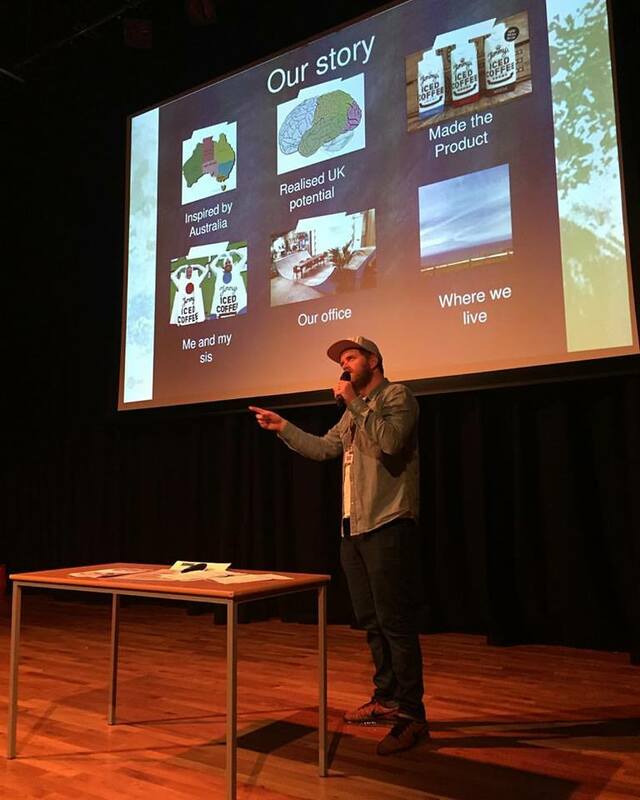 Jim gave several talks to over 600 students on our brand and how we covert everything we do offline, online. Being a young person myself, I was keen to attend on behalf of the brand, but to also see how Digital Horizons are encouraging young people’s talent into these industries, in comparison to when I was at school. I left college four years ago with three A levels and not a clue what I wanted to do. I knew I loved writing, blogging, filming and photography, so whilst I went off to work in retail, I used my spare time to build a personal lifestyle and beauty blog and YouTube channel. I didn’t go to University because at the time, there really wasn’t a degree I was passionate enough about studying, although I do strongly believe in education, learning and pushing yourself to the next level. Back then, my lectures didn’t know which direction to point me in, which isn’t a surprise because even I didn’t know I’d one day be paid to write tweets and post Instagram photos! As for Jimmy’s Iced Coffee, Jim started the business with his sister Sooz, before Instagram even existed. 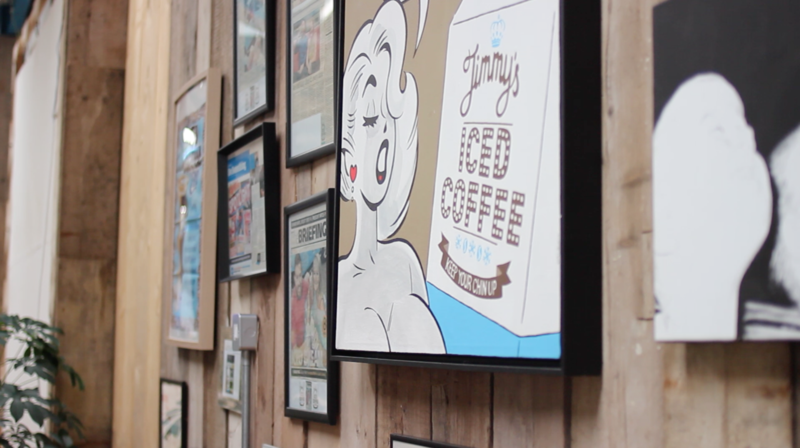 They launched Jimmy’s Iced Coffee in Selfridges on Oxford Street in April 2011, and used platforms like Facebook to share the beginning of their story. Jimmy’s is now available in stores such as Tesco Express, Waitrose, Sainsbury’s, Wholefoods, BP and M&S to name a few. Jim’s story and passion for his business truly is inspiring, and the response from students left a huge grin on my face. Between each talk, we gave everyone a drink and the chance to ask Jim questions. He was so impressed with the passion and energy; he even offered a few students to join us on the road at a few festivals this summer. What a way to gain some work experience! Alongside Jim, we had the chance to listen to several other key speakers including Director of Digital Horizons Antony Story, Michael Hawkyard from Amuzo Games, and Jonathan Ginn from We Are Base, to name a few. Anthony truly surprised me when he shared how some of the special effects for the film Gravity were made down here in Bournemouth. Who knew our little town could produce something so big? Similarly, how Lego, an incredible global brand, picked Michael and his team to work with on their latest game, also based in Bournemouth. Collectively, each speaker proved that without certain creative people within their business, they wouldn’t be where they are today. Sometimes I get so caught up in my own life and career that I forget to take a moment to step back and appreciate how many opportunities are actually out there now. Digital Horizons really helped show me that, and how you don’t have to pigeonhole yourself to one thing. If you have passion, belief and drive, you can ultimately end up in doing a job you truly love. Huge thank you to Digital Horizons for a fantastic day, showcasing talent and inspiring myself and many others on what opportunity is out there. Secondly, to all the speakers who took the time to share their story, it makes me really proud to be from Bournemouth and working alongside some fantastic companies. And finally, I’m going to end on this quote from the movie Babe. It’s one of Jim’s favourites and played a part in encouraging him to start his own business.